This list of writers and "not makes" texts has been prepared through the own radio censorship lists information. With the denomination of “Textos gramofónicos calificados como “no radiables por la Dirección General de Radiodifusión y Televisión” they banned for its public radiation, from the 16 September 1960 until October 9, 1977, 4.343 recordings in Spain, most songs. 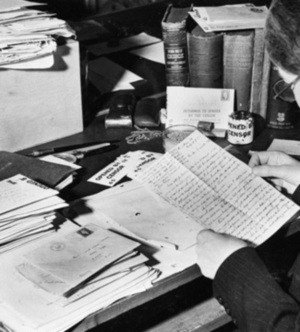 Among the information obtained stand out with more than one censored text on radio the following writers Miguel Hernández, Federico García Lorca, Neruda, Bertolt Bretch, Nicolás Guillén , Blas de Otero y Alberti . 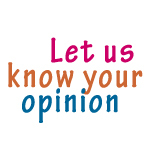 We have selected a total of 59 texts that may appear to be few compared to 4.343 recordings prohibited for seventeen years, but must take into account several issues, the first literary text does not have as a primary means the broadcasting on radio, their environment is the printed text. The second issue is that we do not know all the texts which could not save the first screen of the censorship, denied to be engraved texts and the third plea the own self-censorship of phonographic publishers to know beforehand which was complicated by the audiovisual dissemination of the texts of certain authors. You can also see texts classified by topics: Ensayos, Poesía, Teatro, Poemas musicalizados y Mayores de 18 . Radio censorship was also with their own lists. 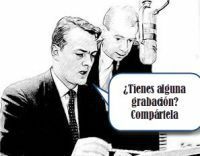 With the denomination of “Textos gramofónicos calificados como “no radiables” por la Dirección General de Radiodifusión y Televisión” they banned for its public radiation, from the 16 September 1960 until October 9, 1977, 4.343 songs in Spain. During that time, censorship in the General direction of broadcasting and Television was evolving according to the Ministers who were in charge, the subject matter of the submitted songs, the new concerns of society expressed through their artists. Those 98 relations be added, starting from September 20, 1966, 42 listings that also reach the 9 October 1976 and under the name of "relationship of text gramofonicos to having been revised, be considered excluded from the respective relations of" ‘no radiables’”, They include 564 songs which, after be reconsidered by the General Directorate of radio broadcasting and Television censors, are definitely pardoned and may be radiated from the moment in which they appear in the corresponding lists. Miguel Hernández It is one of the poets with greater number of articles banned from radio. From 1960 to 1976 denied broadcast of the lyric from nine of his poems some of them appeared in more than one "Relación de no radiables" and in different years by the Dirección General de Radiodifusión y Televisión. "aunque el libro circulaba con cierta tolerancia no era fácil el acceso al mismo, no era expuesto en los escaparates de las librerías, ni estaba permitido cualquier tipo de promoción. [...] la censura también hizo ímprobos esfuerzos por ocultar al lector español la faceta política del poeta de Orihuela"
In the 1960s the image of the poet begins to change and is during the 1970s cast as Joan Manuel Serrat, Paco Ibáñez o Enrique Morente and many others, come to the public a fuller figure and Royal poet. Fourth sonnet of the El rayo que no cesa (1935-1936) the poetry was included in the albumPoesía de amor en castellano en las voces de José María Rodero, Irene Gutiérrez Caba published in Madrid : Discos Aguilar, D.L. 1963.
y probé su amargura sin embargo." 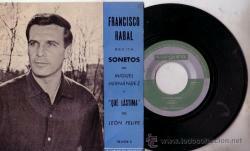 In 1971 singer Pablo Guerrero, After having the disk Tierra prepared with poems of Miguel Hernández censorship not allowed him to record it. The poem belongs to the work Vientos del pueblo (1936-1937) published in 1937 by Socorro Rojo Internacional in Valencia (where was the Government of the Republic). There until 1989 that in Spain to consider the work in depth, in the edition of Juan Cano Ballesta edited by Cátedra. Singer/songwriter from Alicante, Adolfo Celdrán, also very present in the relations of not makes. Published in 1977 an album titled Denegado, where all those songs that relegated it to the silence between 1970 and 1975, includes songs censored and banned by the Franco regime which includes the next song. The poem belongs to the work Vientos del pueblo (1936-1937) published in 1937 by Socorro Rojo Internacional in Valencia.Not form song belongs to the album in which Enrique Morente It pays homage to the poet and which includes the poems: "El niño yuntero", "Sentado sobre los muertos" y "Nanas de la cebolla". The first two in the relations of "not makes" in the year 1971. In the following recording of the background of "Radio París" can listen to Morente interpreting the poem "Sentado sobre los muertos"
The poem belongs to the work Vientos del pueblo (1936-1937) publicado en 1937 por Socorro Rojo Internacional en Valencia. Not form song belongs to the album in which Enrique Morente pays homage to the poet and that includes poems: "El niño yuntero", "Sentado sobre los muertos" y "Nanas de la cebolla". Las dos primeras en la relaciones de "no radiables"in the year 1971. In the following recording of the background of "Radio París" You can listen to Morente interpreting the poem "Sentado sobre los muertos"
desde ahora y desde siempre." The version of Joan Manuel Serrat poem of Miguel Hernández "La herida" It is one of the music poems of Miguel Hernández most popular,published in 1972, the album did not makes part of this song, "el niño yuntero" y "elegía"
"Para la libertad sangro, lucho y pervivo. y aún tengo la vida." 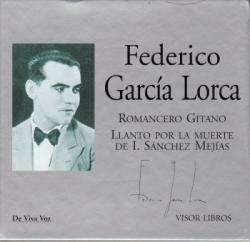 Federico Gacía Lorca is one of the poets most appearing in the cast listings to the Spanish radio of “Textos gramofónicos calificados como “no radiables” por la Dirección General de Radiodifusión y Televisión” that is forbidden for its public radiation, from September 16, 1960 to October 9, 1977, seven texts suffered this kind of censorship and four framentos of his plays, they were limited to the age of the audience. In the catalogue of the BNE we find several clandestine or low spin copies such as the Gypsy Ballads, edited by printing Bedia of Santander in 1948 clandestinely (Lafuente, 2009) or two typed in 1949 by printing publications Gestetner de Madrid del "Divan de Tamarit : Odas; Poemas póstumos; Canciones musicales" y "Obras dispersas"
"El asesinato del autor; la destrucción de sus manuscritos; el impedir la publicación de obras y la alteración de sus obras. De hecho, la censura no sólo incluye la obra literaria, sino también los dibujos, que han sido ocultados durante muchos años o alterados para su publicación. Además menciona otras dos formas indirectas de censura: la censura de la censura, es decir, la ocultación de la censura que ha sufrido la obra de Lorca, y la censura de la información secundaria sobre Lorca y su vida amorosa." We can add the difficulty of access to published works or dissemination of his work through the waves. It is the verse with the begins the second picture of the play "Yerma" (1934) premiered on December 29, 1934 in Madrid Spanish Theatre until 1960 not turns to perform the play in Spain with the address of Luis Escobar. 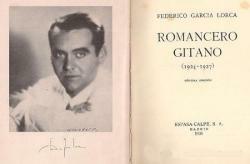 Belongs to the Romancero Gitano (1924-1927) this Lorca poem about detention of Antonio Torres Heredia Manager Civil Guard when going way of Seville.In 1961 he published in Argentina Poemas de Federico García Lorca in the voice ofMargarita Xirgu in which the actress recites the poem "Prendimiento de Antoñito El Camborio en el camino de Sevilla"
Performers such as Paco Ibáñez, Enrique Morente o Manuel Mairena they have been musicalized the poem, in a entrevista a la revista La Flamenca el propio Manuel Mairena reconocia que: "durante el franquismo, me prohibieron cantar el Prendimiento de Antoñito El Camborio." Las nanas infantiles de Federico García Lorca text of the lecture given by Federico García Lorca was performed at the residence of students in Madrid on December 13, 1928. "El niño tiene un juego lírico de belleza pura antes de entregarse al sueño. Ese aquel y su caballo se alejan por el camino de ramas oscuras hacia el río, para volver a marcharse por donde empieza el canto una vez y otra vez, siempre de manera silenciosa y renovada. Nunca el niño los verá de frente. Siempre imaginará en la penumbra el traje oscuro de aquel y la grupa brillante del caballo. Ningún personaje de estas canciones da la cara. Es preciso que se alejen y abran un camino hacia sitios donde el agua es más profunda y el pájaro ha renunciado definitivamente a sus alas." la rosa azul de tu vientre." The song belongs to the album Marisol interpreta canciones de García Lorca edited by Sapphire in 1964, in 1931, Federico recorded with Encarnación López La Argentinita five discs slate gramofonicos containing a song on each side: Zorongo gitano, Los cuatro muleros, Anda Jaleo, En el Café de Chinitas, Las tres hojas, Los mozos de Monleón, Los Pelegrinitos, Nana de Sevilla, Sevillanas del siglo XVIII and Las morillas de Jaén. Corresponds to a song of Pepe Albaicin edited por Belter en 1964, "Y que yo me la llevé al río / creyendo que era mozuela,/ pero tenía marido." La casada infiel the work of Lorca the Romancero Gitano (1924-1927) the theme of the poem is the infidelity and eroticism, issues often censored in the relations of not makes. According to Ricardo Doménech in "Nueva aproximación al teatro del exilio".The 1960s begins with the recovery of important works and authors of the exile, in 1961 retrained Yerma and other works by Alejandro Casona or José Bergamín. Censorship did not know very well what to expect in terms of culture. On one hand, I wanted to avoid scandals and another, was trying to stop the critical, protest, push coming from all the arts and intellectual life as a whole. One of the contradictions is the note that accompanied the relationship of "not makes" 30 November 1966 on fragments of the following plays by Lorca and makes plays but with conditions a prologue in which broadcasters should explain the contents of full-text and clarification of inappropriate for children under 18 years. The posthumous premiere of La casa de Bernarda Alba, at the theatre Avenida de Buenos Aires,by the company of Margarita Xirgu, on March 8, 1945, It was the most important, the most defining of the theatre of exiles. Doménech, Ricardo. "Nueva aproximación al teatro del exilio" en El exilio teatral republicano de 1939 : Seminari de Literatura Espanyola Contemporània.Sant Cugat Valles : GEXEL, 1999.
amanecientes, incendiando ríos hondos, caudal humano hacia otra luz: he visto y he creído. "Puedo escribir los versos más tristes esta noche" is the poem 20 of Veinte poemas de amor y una canción desesperada (1924) of Pablo Neruda. Paco Ibáñez dexcrete a one sided des your discs to sing 5 poemas de amor y la canción desesperada de Pablo Neruda. It is a disc discontinued, shared with the Cuarteto Cedron. The album released in France in 1977, much later to "not makes" relationship is, maybe that it was the poem recited, collected in a poetic anthology recorded for marketing. "Cuerpo de mujer" is the first poem of Veinte poemas de amor y una canción desesperada (1924) of Pablo Neruda. y hace saltar el hijo del fondo de la tierra." "Los enemigos", de Pablo Neruda, music by the Group "Quilapayún" in the 1970's: "Por estos muertos, nuestros muertos, ¡pido castigo!" con furia y con dolor." Bertolt Brecht (Letter) y Kurt Weill (music) they wrote a number of songs over the years 40. Music, generally critical texts with Nazism. Brecht He was one of the intellectual icons in the early 1970s among young Spaniards more protestors with the Franco regime." 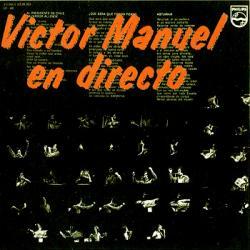 Because that song was not authorized for his recording, at the end of the relationship no 71 can be read "all those titles marginalized with letter D has been banned its recording by the General Directorate of Popular culture and entertainment" as you can see from the list below "The Ballad of sexual slavery" appears with the letter "D"
"Con paso firme se pasea hoy la injusticia. / Los opresores se disponen a dominar otros diez mil años más. Jamás se logrará lo que queremos. / Quien aún esté vivo no diga "jamás". Lo firme no es firme. / Todo no seguirá igual. Cuando hayan hablado los que dominan,/ hablarán los dominados. ¿Quién puede atreverse a decir "jamás"? /¿De quién depende que siga la opresión? De nosotros. ¿De quién que se acabe? De nosotros también. / ¡Que se levante aquel que está abatido! ¡Aquel que está perdido, que combata! / ¿Quién podrá contener al que conoce su condición? Pues los vencidos de hoy son los vencedores de mañana / y el jamás se convierte en hoy mismo." ha de tener su mármol y su día, / su infalible mañana y su poeta. En vano ayer engendrará un mañana / vacío y por ventura pasajero. y al estilo de España especialista / en el vicio al alcance de la mano. y de sagradas formas y maneras"
In 1929 he published the work "Cal y Canto" to which belongs the sonnet "Amaranta"
por el canal que asciende a tu garganta." Hoy ya mismo se levanta"
"Todos mis besos estaban dormidos. Tú les quitaste el sueño. y la roja inicial de tu pañuelo." A cor de primavera que há-de vir." Refers to a chapter of Meditaciones del Quijote of José Ortega y Gasset that is a very severe criticism of Spain. "Lo que suele llamarse España no es eso, sino justamente el fracaso de eso. En un grande, doloroso incendio habríamos de quemar la inerte apariencia tradicional, la España que ha sido, y luego, entre las cenizas bien cribadas,hallaremos como una gema iridiscente, la España que pudo ser"
The text that was not form in Spain is the adaptation of the work by Alejandro Casona. El burlador de Sevilla, de Tirso de Molina, Buenos Aires, 1961. Don Juan in the work of Tirso is a flat character, who does not evolve much in the course of history, and whose attitude is maintained up to the end, what it costs him death. The character in the work of Zorrilla, is evolved throughout the work, so that at the end he changes his attitude and his way of thinking and produces salvation. The play of Valle-Inclán exponent of the genre of the Esperpento, in which Doña Loreta, wife of Lt. Astete, nicknamed Don Friolera, is unfaithful to her husband with Pachequín, The Barber of the place. An anonymous places to Astete knowledge of the situation and plot revenge. Cantos de vida y esperanza is the lyrical work of Rubén Darío posted in 1905, in the author deals with social and political issues of the time. Según Berta Muñoz en Expedientes de la censura teatral franquista. "Esta obra fue autorizada para mayores de 18 años, con adaptaciones en cinco de sus páginas, sin posibilidad de radiación. Todos los textos escritos por Buero Vallejo fueron sometidos a censura"
The play by Miguel Mihura was released on September 29, 1959 in Madrid in terms of absurd humour and apparent superficiality, Mihura addresses issues in work such as prostitution and sexual repression, enough reason to be "non-form". Broadcast on radio was much wider in scope than a representation in theatre, many theatrical texts that although they had authorization to represent themselves, were not makes. "El Cristo yacente de Santa Clara" (Iglesia de la Cruz) de Palencia is a poem of Miguel de Unamuno of the year 1913.
porque este Cristo de mi tierra es tierra." ¿Qué ha de decir un muerto?" pero huele a lluvia el viento." Tu eres pobre, lo soy yo. te olvides de quién soy yo. lo mismo que tú eres yo." mirando el sol que salía. a que mataba a otro niño. y el huracán de los motores, fijo [...] amar es combatir, si dos se besan el mundo cambia, encarnan los deseos,el pensamiento encarna, brotan alas en las espaldas del esclavo, el mundo es real y tangible, el vino es vino,el pan vuelve a saber, el agua es agua, amar es combatir, es abrir puertas, dejar de ser fantasma con un número a perpetua cadena condenado por un amo sin rostro; el mundo cambia"
"Texts that then relate, being fragments of the respective works, they may only be stellate with an explanatory foreword by all of it, which becomes stated expressly and clearly that your hearing is unsuitable for children under 18 years"
Broadcast on radio was much wider in scope than a representation in theatre, many theatrical texts that although they had authorization to represent themselves, were not makes. Theatre suffers during the Franco regime, various forms of control and censorship, since the total refusal to partial measures so that the contents of the text was not accessible or broadcast to the general public.